One of my articles in this blog has the title What can Science reveal? This is the quest of the Snark (quoting Philo M. Buck, 1942). I think, that the question what science can reveal is only one among several quests of the Snark. Another quest might be, how science reveals the world and how science can be threatened. Here, flat earth theory is a good example. That theory does not only aim at reverting scientific findings, but also at damaging science itself. I don’t know whether Dodgson/Carroll took any interest in that theory and the related debates, but its history helps me to improve my understanding of popular science debates and businesses in the Victorian society at around the time when Lewis Carrol wrote The Hunting of the Snark. 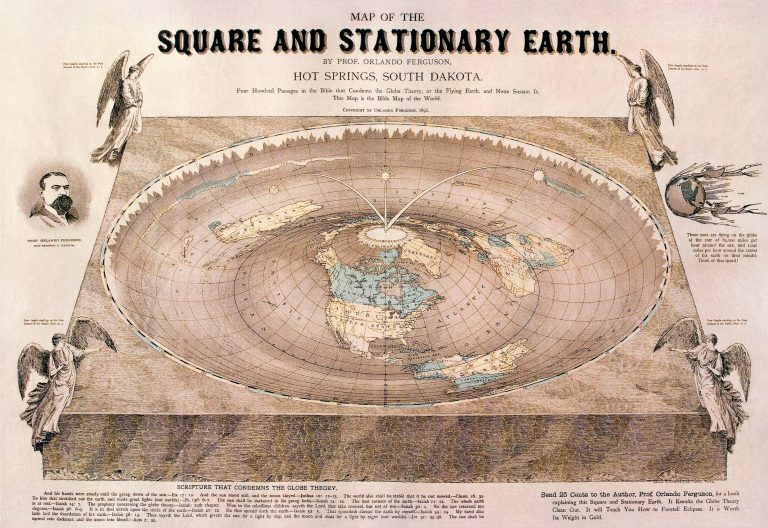 This week in the New Yorker, Alan Burdick wrote an article about Looking for Life on a Flat Earth, What a burgeoning movement says about science, solace, and how a theory becomes truth (2018-05-30). Very regrettably, Burdick failed to mention Christine Garwood‘s book Flat Earth: The History of an Infamous Idea (2008). That shouldn’t happen in a magazine like the New Yorker. Didn’t Burdick read that excellent book before he wrote his article? Garwood shows why and how science can be threatened and is being threatened. This includes John Hampden‘s (1819-1891) discrediting of journalists 1870 (p. 76), who probably had quite similar reasons for media bashing as Donald Trump had and openly described them in February 2016. If you want to make a living as influencer, you need to control the presentation of knowledge. To understand that is as important today as it was in the 19th century. It is amazing how similar the 21st century anti-scientific populism is to what happened since “Parallax” started his flat earth business in the Victorian Britain. And he meant business. in the journal Chapter One of the Alliance of Literary Societies. But thanks to the creativity of Lewis Carroll and Henry Holiday there really might be textual and pictorial references to Thomas Cranmer and his 42 Articles in The Hunting of the Snark. On the Flat Earth Society: William Hartston seems to have used Ellis Hillman’s presidency of the Flat Earth Society to ridicule Hillman. Hartston got it wrong. And when Hillman passed away in 1996, Illtyd Harrington’s orbituary in the Independent mentioned his support of the Flat Earth Society out of context as well.